I visited an airmail navigation arrow located beside I-15, just north of the Afton Road exit, roughly 20 miles south of Baker, CA. Many of these were built in the 1920's across the USA. These small sites directed the pilots of open-cockpit biplanes toward the next waypoint on their trip across the country. There are several routes that crossed the states in the northwest and a few routes from San Francisco and Los Angeles. I found 2 pages on Wikipedia about these. 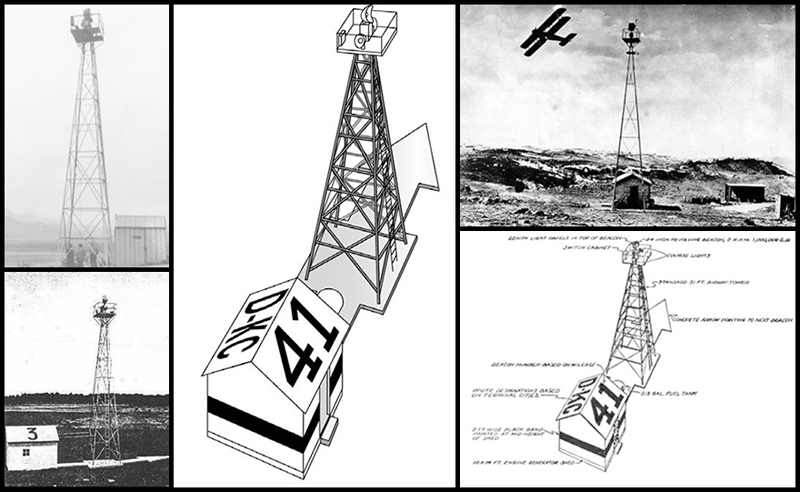 One describes the Transcontinental Airway System and one is about the beacons at each site. This site has a list of many arrows and beacons, but does not include this arrow. 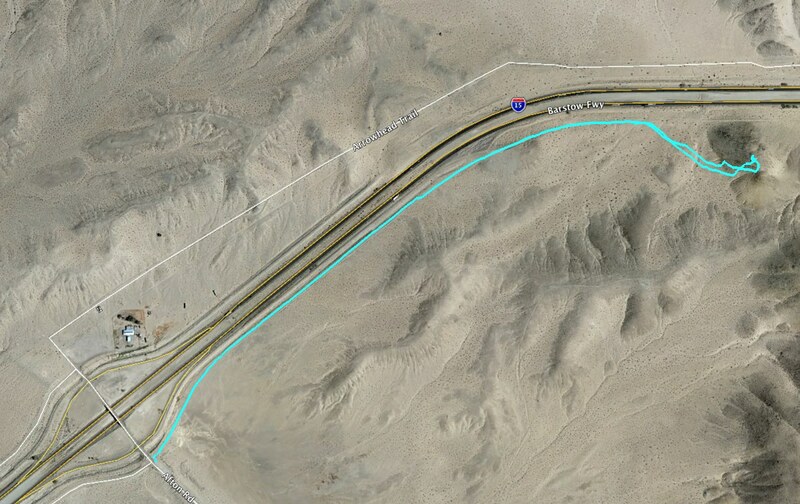 According to this site, this arrow was along the route from Los Angeles to Las Vegas and beyond. Google maps recently started displaying this site. Here's a Google map centered on the arrow. I take the Afton Road exit often to hike Cave Mountain and to drive the local 4wd trails but I never knew this was here. A private parcel (privately owned land = not public land) sits near the exit off the highway. The image below is taken from an official BLM (US Bureau of Land Management) map and it shows privately owned land in white and BLM-owned land in tan. The location of the airmail arrow is marked with a green "X". 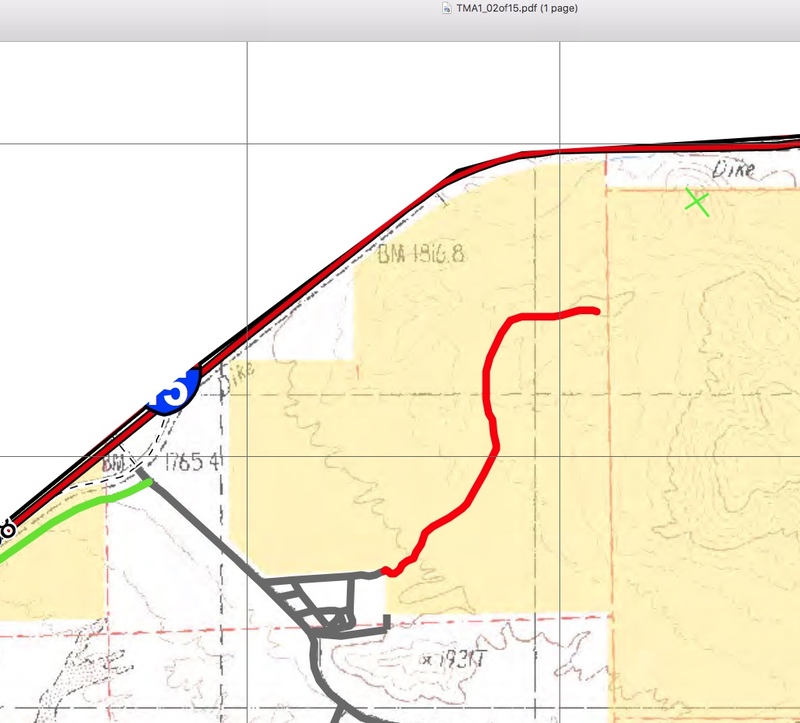 The red line marks an old road that the BLM has closed. I was worried that the owners might not tolerate hikers crossing their property. This far from the city, their protective instincts might result in gunfire toward any trespassers. I decided to start my hike hugging the barbwire fence at the edge of the highway right-of-way. My route followed what looks like an old disused frontage road that parallels the highway. The hike was about 1.3 miles (each way) and was not difficult. The arrow is at the top of the hill on the left in this photo. I'm sure people in cars on the highway were wondering what that guy was doing walking across the desert. Here's another site with more historical information about these sites.